Identity has been studied by human rights scholars in relation to specific themes ranging from gender to religion, but a comprehensive analysis of the conception of identity in case law is lacking from human rights literature. This paper addresses this gap by analyzing all cases where the Court uses the terms ‘identity’ or ‘identité’ until 1 September 2017 (n=2,939). Subsequently, these cases were narrowed down, categorized, linked to each other and coherently presented. The result is a new, systematic and empirically replicable overview of the use of identity in the Court’s case law. A substantive analysis of the judgments reveals that different categories of identity can be distinguished in the case law, while it also brings to light internal contradictions between these categories. For instance, while in some contexts, e.g. ethnic identity and the identity of children, the Court takes a sensitive approach to the affective implications of identity-based grievances, the Court appears more reluctant to do so for other identity categories, e.g. religious and collective identity. A preliminary assessment of the case law suggests a double conclusion: on the one hand, identity provides a strong instrument for the Court to place greater responsibilities on and reduce the margin of appreciation of states, and on the other hand, the ambiguities relating to the term identity prove a fascinating forum for witnessing the indeterminacy of human rights law and how the Court attempts to thread a way through these tricky debates. 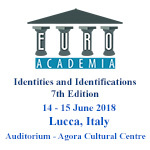 Further study will relate the findings to existing theoretical debates (on identity, on indeterminacy) and assess if the current analysis demands a rethinking of these debates.